Future-ish is excited to promote a project of Olya Yarychkivska on her blog, Lunarka's Treasure Box. Each week, Olya posts a real life stylish scientist. 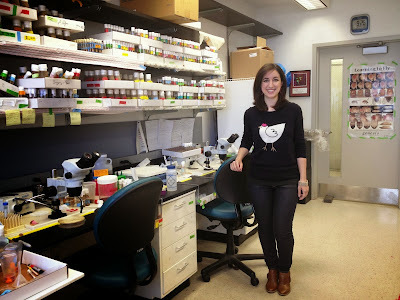 This week, Olya selected her first post-doc to profile, Dr. Elena Luccheta. Follow the hyperlink above for more pics and bio.